Kick off Hoffenheim-Fortuna Duesseldorf in 1. Bundesliga on today 14:30. Referee in the match will be Benjamin Cortus. Team Hoffenheim is located in the middle of the table. (6 place). In 5 last matches (league + cup) team gain 6 points. Hoffenheim from 4 matches at home can not beat any rival. 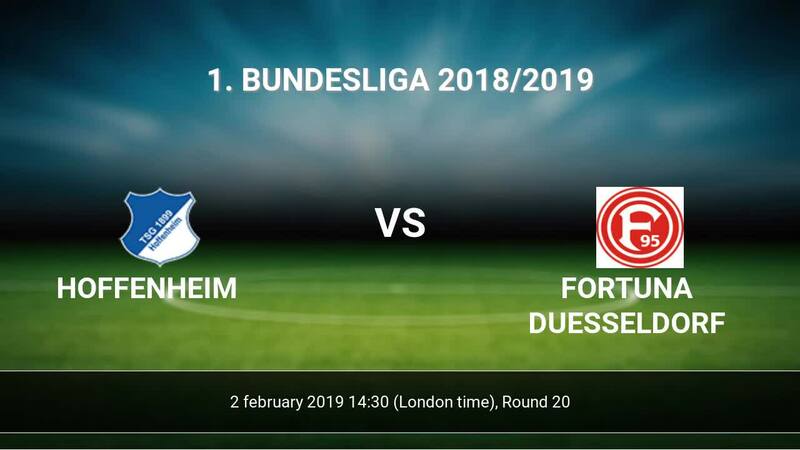 To defend Fortuna Duesseldorf the most demanding players will be Andrej Kramaric 8 goals, Reiss Nelson 6 goals, Joelinton 5 goals, because this season they scored the most goals for Hoffenheim of the entire composition. Most goals developed: Andrej Kramaric 2 assists, Joelinton 5 assists. Injuries in the team Hoffenheim: Lukas Rupp. Team Fortuna Duesseldorf is located in the middle of the table. (14 place). Form team looks like this: In the last 5 matches (league + cup) gain 12 points. away from 2 matches team have not been defeated. The most goals in 1. 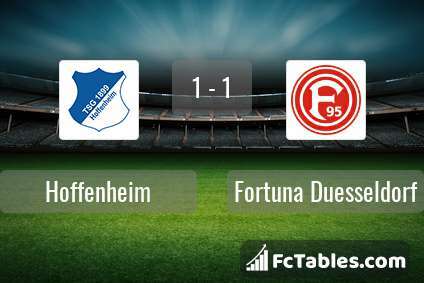 Bundesliga for Fortuna Duesseldorf scored: Dodi Lukebakio 7 goals, Benito Raman 4 goals, Rouwen Hennings 2 goals. Players with the most assists: Dodi Lukebakio 1 assists, Rouwen Hennings 2 assists. 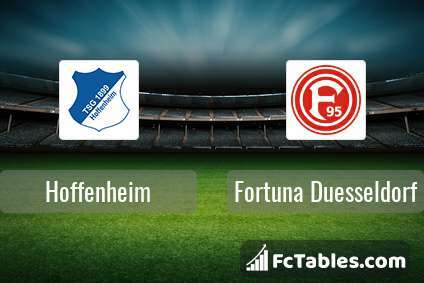 Direct matches: Fortuna Duesseldorf won more direct matches. 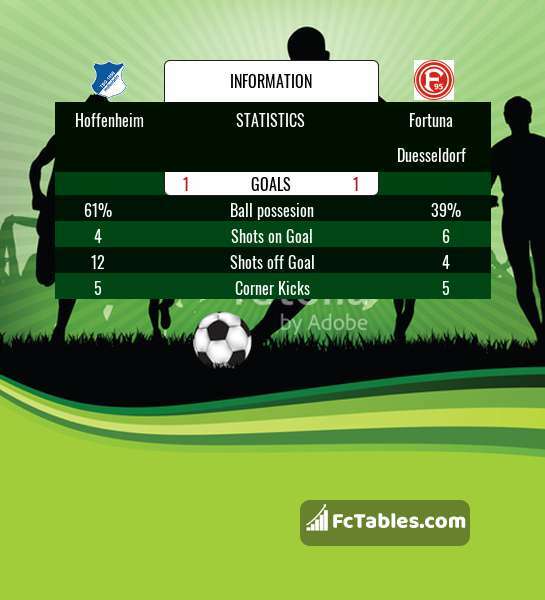 Hoffenheim won 1 matches , Fortuna Duesseldorf won 1 direct matches, was a 1 draws. In 2 matches the sum of the goals both teams was greater than 2.5 (Over 2.5), and 3 matches teams scored more than 1.5 goals (Over 1.5). In 2 matches the both teams scored a least one goal (Both teams to score).